Home | Developing A Presentation/Speech | IfYouDon’tPauseItLooksAndSoundsLikeThis! 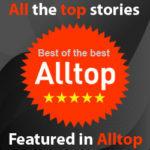 Question: What if my entire Post was written like the Title? How long could you read it and what would you understand? Answer: Not Long and Not Much! The same applies to your audience if you Talk, Talk, Talk and don’t PA– — USE. 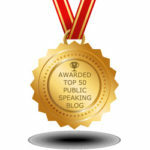 The people watching and listening to your presentation will never GET IT! if you don’t give them the opportunity to ingest and digest your material. We think by associations and our brains need to take in and process what information we’re bringing in and determine what “files” in our brains they belong in. That’s pretty hard to do if you don’t PA– — USE every once in a while. Claude Debussy, the famous French composer, said, “Music is the silence between the notes.”That analogy can also be applied to speaking. Pausing lets the audience know you are in control, better keeps their attention, and increases the odds they’ll GET IT! Before you Open your presentation. When you do speak, you will have their total attention. After stating something you want to sink in. Before repeating something for emphasis. 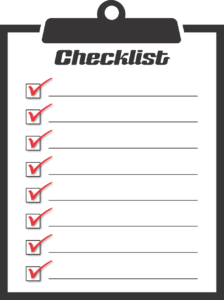 The PA– — USE gives the repetition more emphasis. To separate thoughts and allow the audience to absorb it before moving on. If you want to build anticipation. It’s not a canned response. You’ve thought about your reply before answering. You’ll better have their attention. After asking the audience a question. It makes them think and get more involved with your presentation. In delivering a Parenthetical Statement. A Parenthetical Statement is a temporary departure from the main theme. It is a statement that, if you were reading it, would be in parentheses. 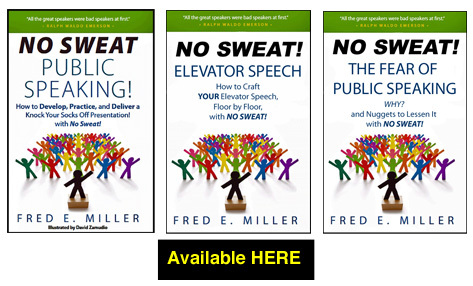 In delivering your talk, you speak that thought to your audience. 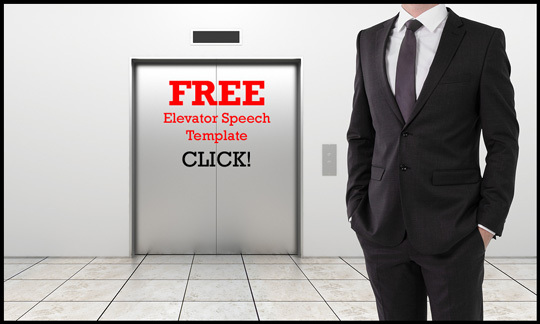 It can add a new dimension to your presentation. It can be an extremely effective way to step out of your speech, make a specific point, and reinforce your connection with your audience. Consider using the Spontaneous Pause. If you stop yourself part way into a statement, pause, then go in another direction, that next set of statements can be powerful. 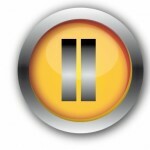 PAUSING is not easy for most of us. We’re often nervous, talk quicker than normal, and “want to get it over with!” It’s also natural to want to fill “blank” air with something. 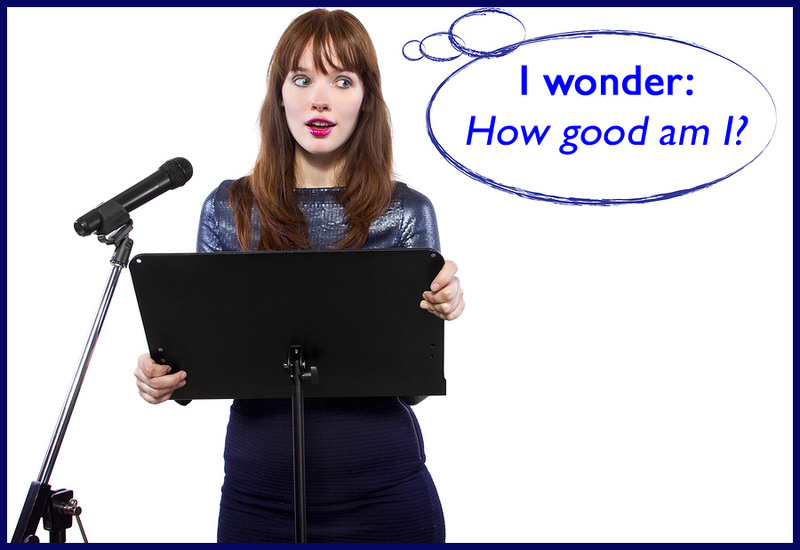 If it’s not continuing to talk, it’s speaking “fillers”: um, ah, and like. Those “fillers” can be very distracting, and if you drop them, you’ve picked up your PA– — USE! 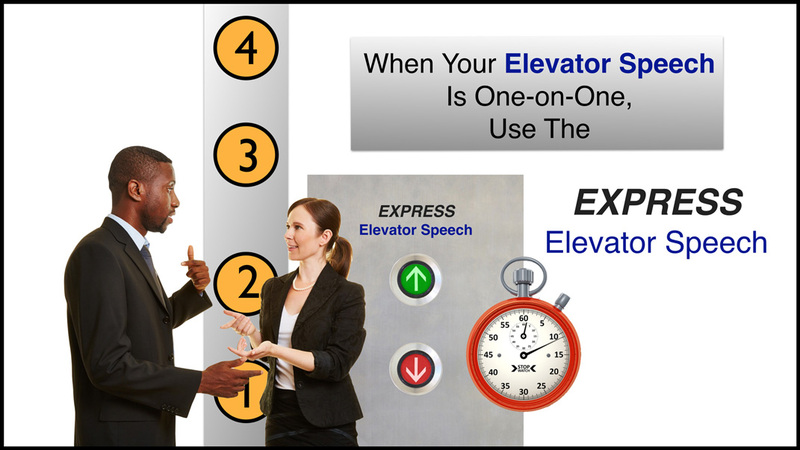 Practice PAUSING just like you practice all the other elements of verbal and nonverbal delivery. OK? Ready – Set – P-A-U-S-E! 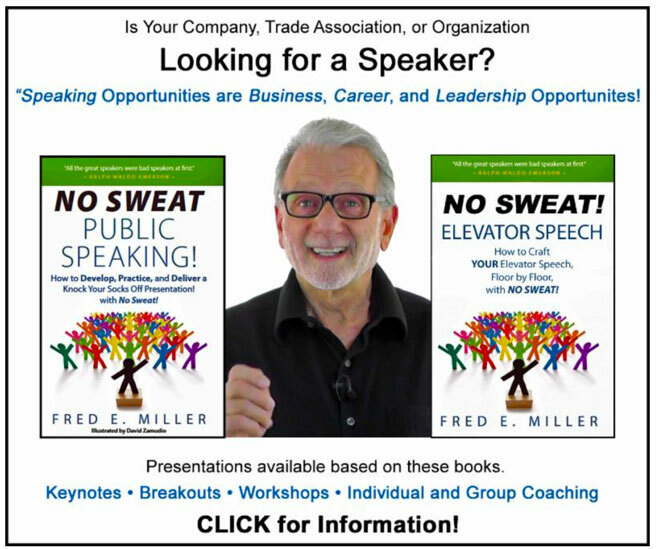 Fred E. Miller is a speaker, an author and a coach. They also know: Speaking Opportunities are Business Opportunities. Speaking Opportunities.Opportunities are Career Opportunities. I remembering reading once that Americans are particularly unwilling to pause when they speak — it’s a cultural barrier that is born out of the discussions we have with people when we are doing things like negotiating. The problem is, or so the article stated, that when we pause in a conversation someone will often take that opportunity to interrupt you and begin speaking themselves. This, they claimed, is why so many of use ummmm’s when we speak to indicate that we are not yet finished speaking. But, of course, this is not a danger when we are doing presentations. We are the center of attention and it isn’t likely that someone will interrupt us. But I do think that we carry this habit over into our public speaking. Great post Fred and loved the audio version — very well spoken. Interesting, Russ, I was unaware of that. It does seem logical because people don’t want to be interrupted and often are. Sadly, many people are not really listening to others but waiting for the opportunity to say something. The Pause is essential for a great presenter. It’s one of those little things that can make a huge difference. 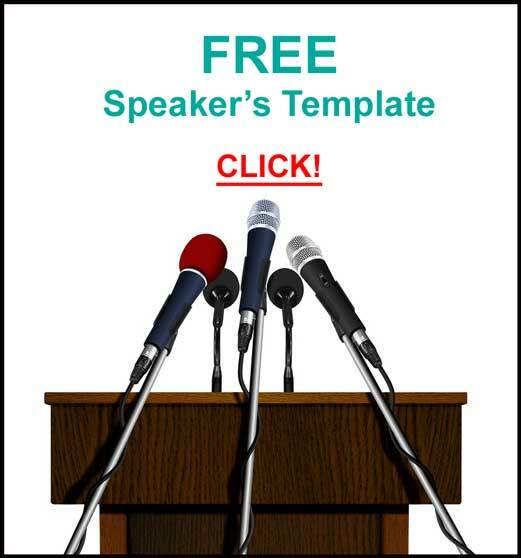 We want our audiences to GET IT!, and this is definitely a tool speakers should use. Joe, I’ll P-A-U-S-E before replying to your wise comment.